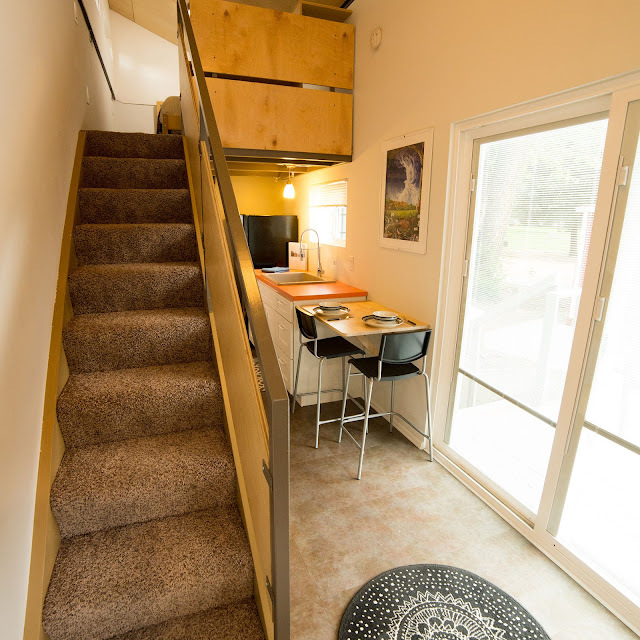 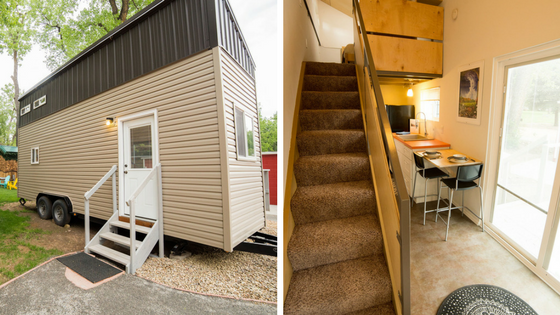 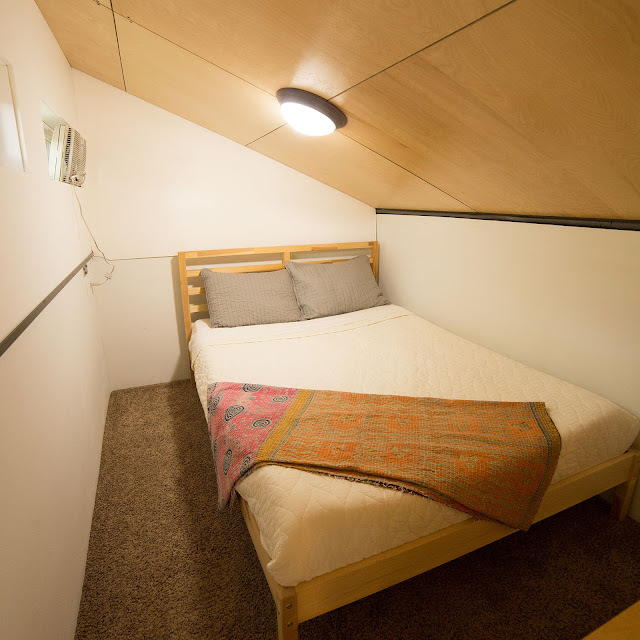 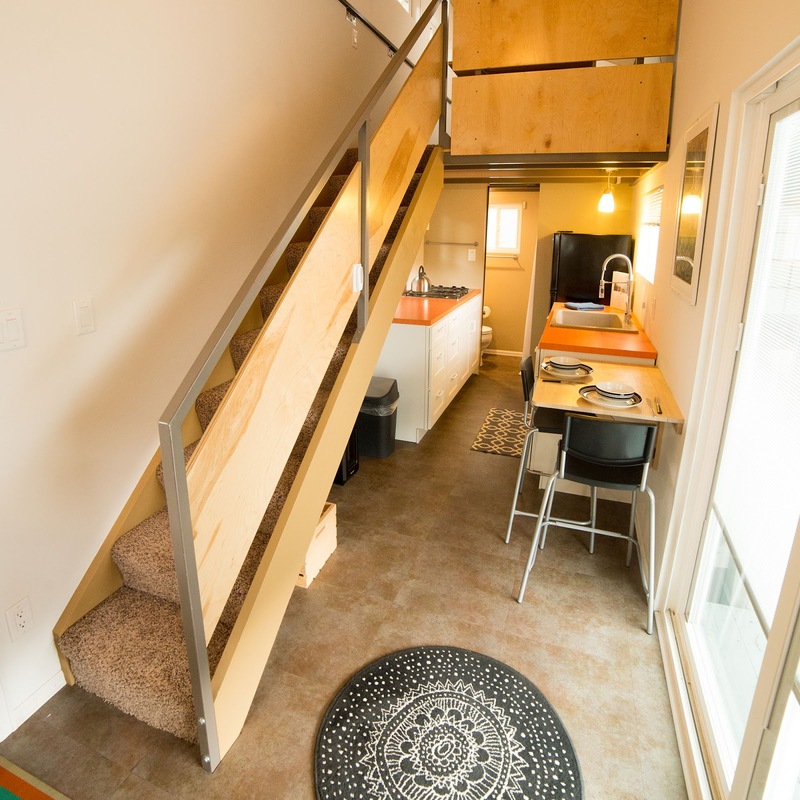 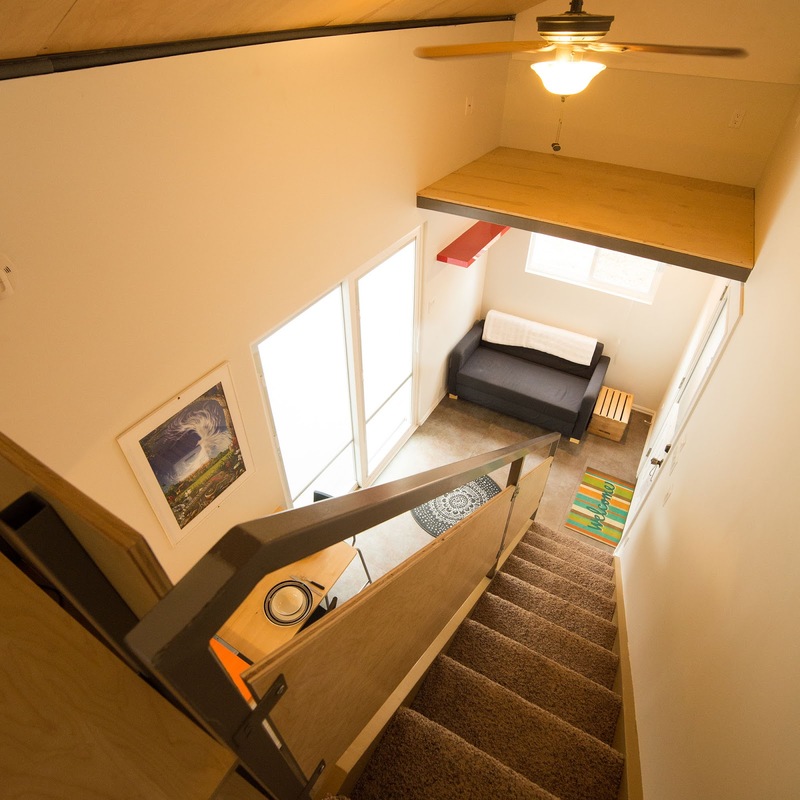 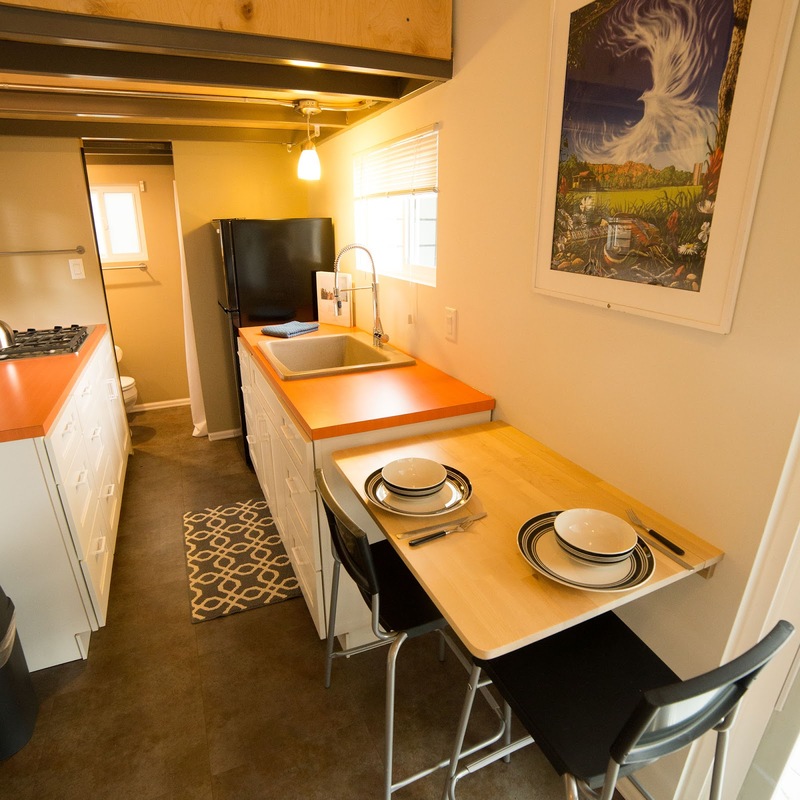 Say hello to the Pop Top: one of several tiny homes for rent at the WeeCasa Tiny House Resort in Lyons, Colorado! 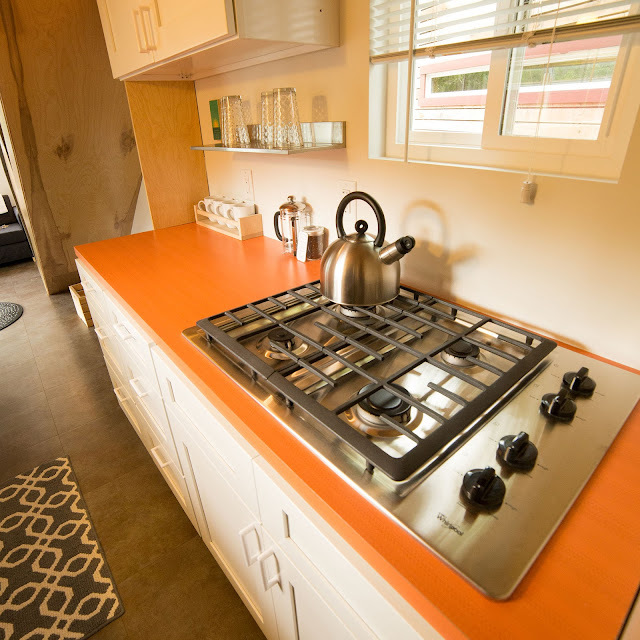 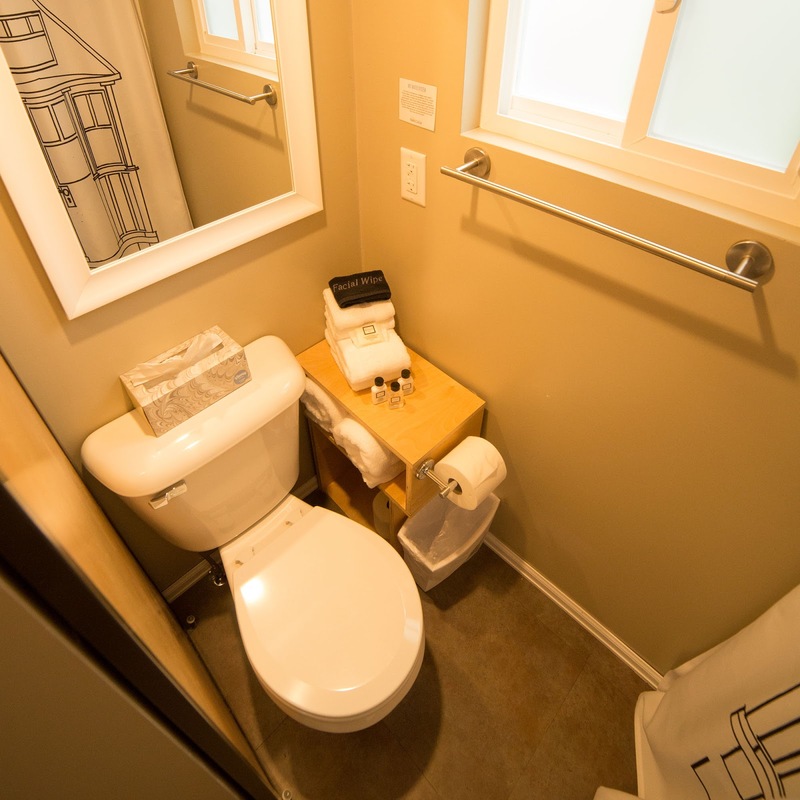 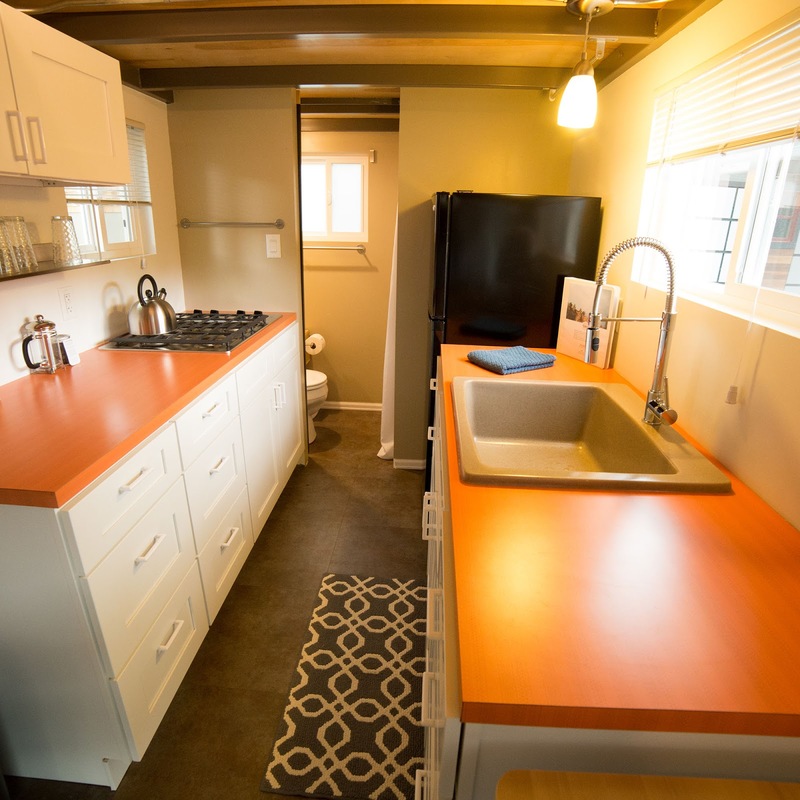 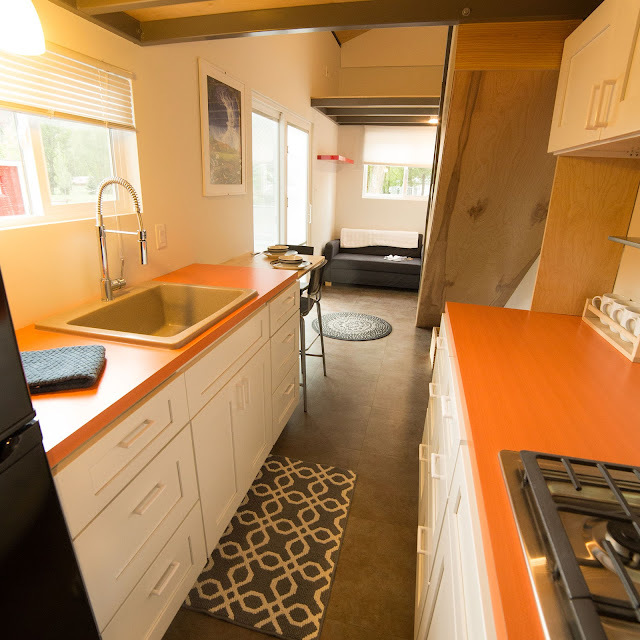 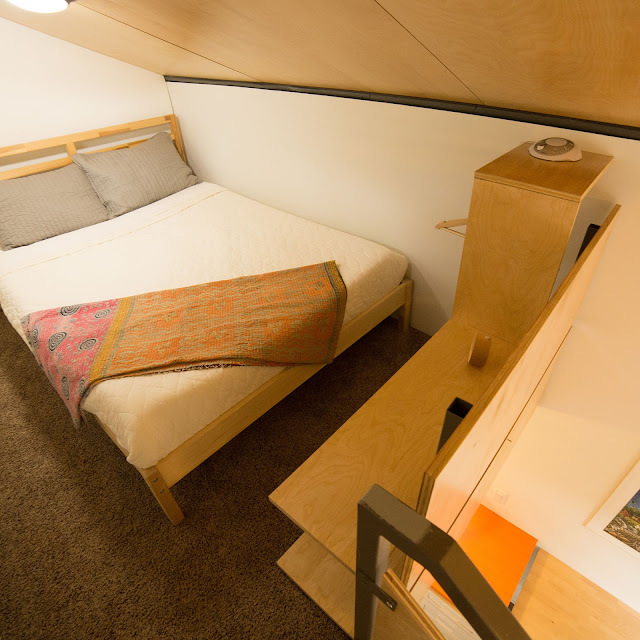 The Pop Top features a warm, modern interior with 192-sq-ft of space. It comes with a kitchen, equipped with a four-burner stove and a full-sized fridge. 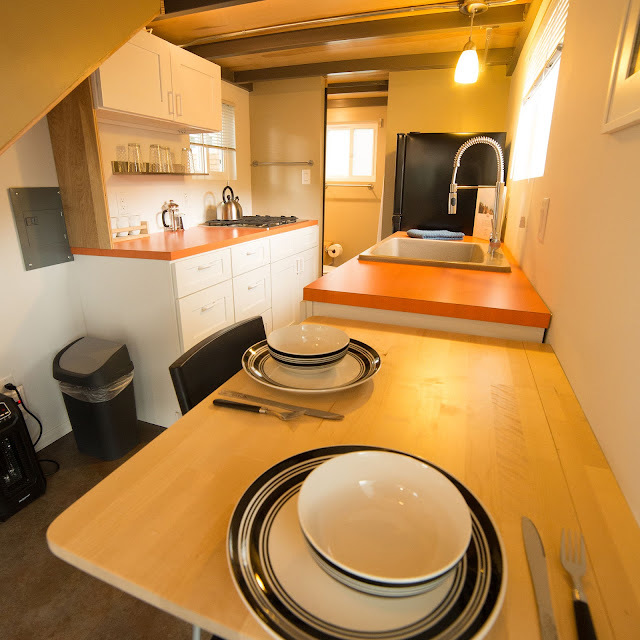 There's also a dining table for two, a loft bedroom with a full-sized bed, and a second loft space for storage! 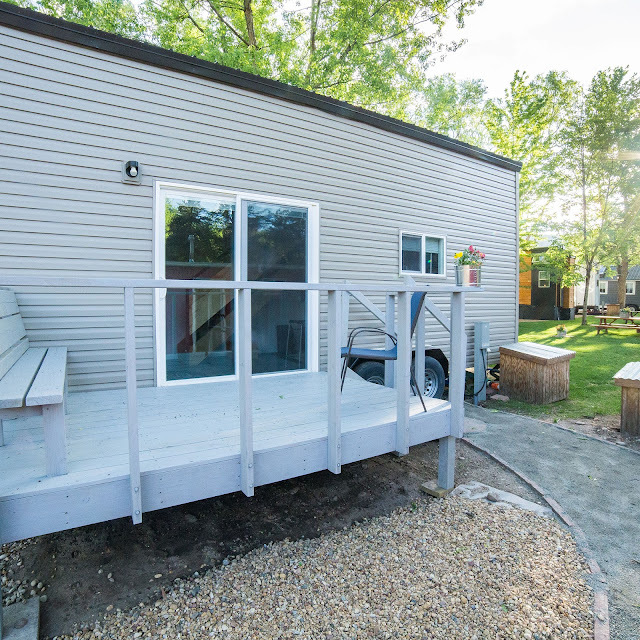 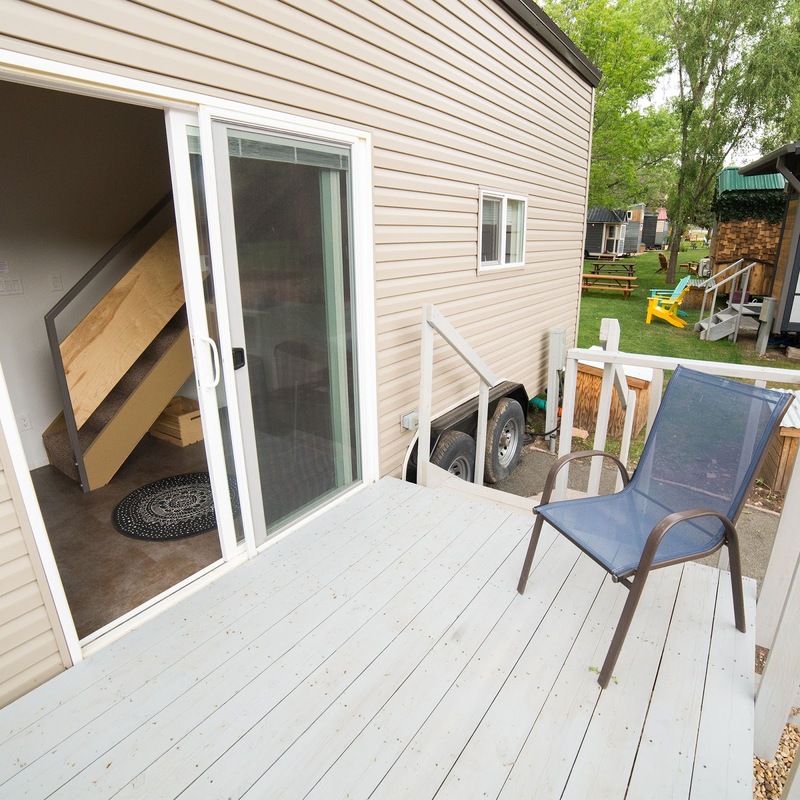 Also available is a spacious deck with built-in seating. 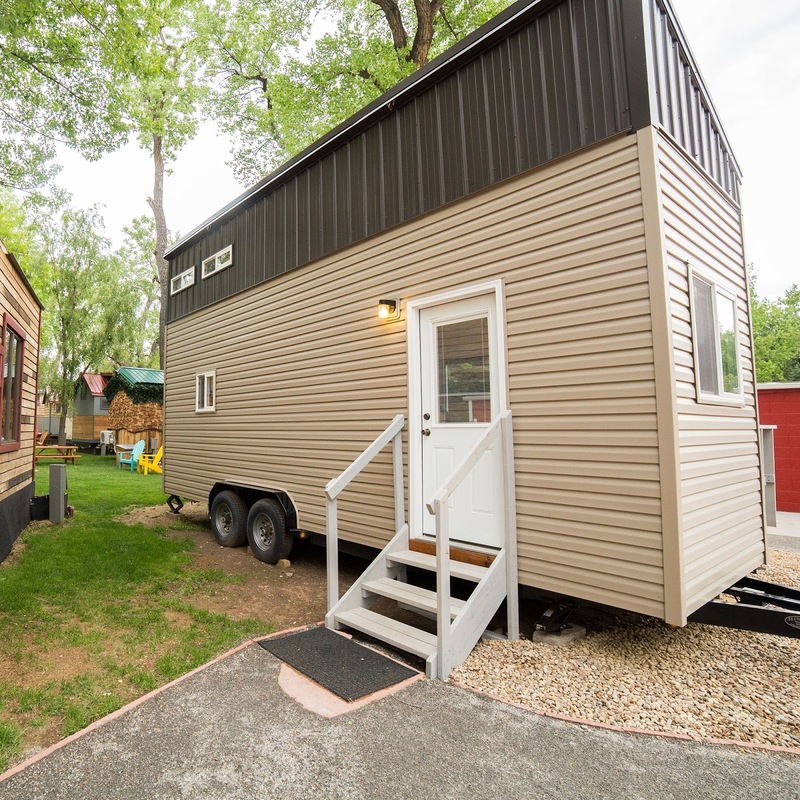 The Pop Top is currently available for rent here at $129 a night!